Since its introduction in 2007, the Nissan GT-R R35 has become a prime target for tuners and race teams. Even with its standard 3.8-litre V6, twin-turbo engine developing nearly 500bhp (360kw) and 450lbft (570Nm) torque, the potential to increase this already substantial amount of power has proved irresistible to many engineers and enthusiasts. This has seen figures of over 1000 horsepower reached. And, with the significant boost in output consequently raising stress levels on the transmission, it has often resulted in gearboxes failing to operate correctly or, in some cases, being completely destroyed! Pfitzner’s NI-GTR35-6SPD-HC-SYN-GA 6-speed helical syncro unit has been manufactured to cope with the additional loadings generated by these sometimes brutal increases in power and therefore, has now become the world’s best-selling upgrade gear set for the Nissan GT-R R35. The PPG kit has been specifically designed to directly replace the original gear set and therefore, fits accurately inside the standard Nissan casings. 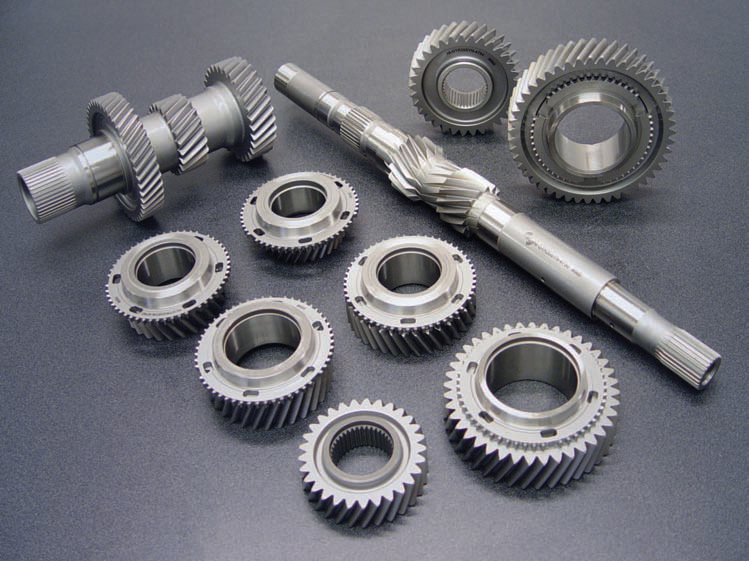 Comprising the same ratios as the OE version, the Pfitzner gear set is compatible with the car’s existing ECUs. Therefore, there’s no need to re-map the software. Added to this, no alterations are required to the gear-change mechanism or linkages, which means that installation is a straightforward, like-for-like exchange operation. In contrast to other brands of replacement gear sets, Pfitzner’s 6-speed syncro kit sees no increase in noise levels to that of standard. This makes it a perfect choice for owners who use their cars for day-today journeys on the road, as well as track days or even competition.